Home Weapons Is Merciless The Best Exotic Fusion Rifle? Is Merciless The Best Exotic Fusion Rifle? Since Merciless is Xur’s Exotic weapon of choice this week I thought it was finally time we did an in-depth look at this Exotic Fusion Rifle. Merciless is a weapon that’s from the base game of Destiny 2, and while it might not be as interesting as some of the Exotics added with Forsaken, it’s still very nice. The stats on Merciless are; a Charge Time of 900, an Impact of 75, a Range of 45, Stability of 39, a Magazine Size of 8, Reload Speed of 49, and Handling of 47. The hidden stats are; a Zoom of 15, Inventory Size of 36, and Recoil Direction of 64. These stats are fairly middling when you look at them all on their own. In fact when looking at these it’s nor hard to see why Merciless is ranked 85th in the top PVP weapons. Honestly it isn’t outstanding at this point already, but the perks do have something else to offer you. The Exotic perk on Merciless, Conserve Momentum, make Merciless charge faster and faster the more hits you make on enemies without killing them. A lethal blow will end this stacking. It’s really this perk right here that makes Merciless such an impressive piece of kit. If you’re running a Raid or Strike with a particularly beefy boss then Merciless is the Power Weapon you want on you. The more you hit that boss the lower your Charge Time is going to be, meaning you can line up shot after shot pretty quickly. 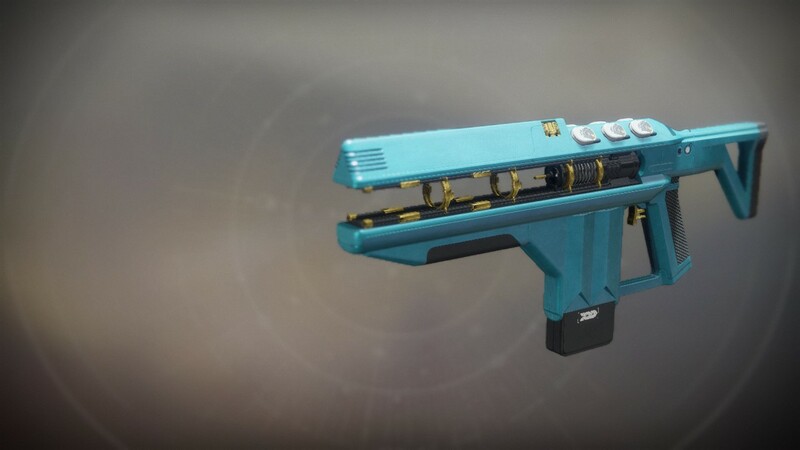 The rest of the perks on Mercielss, at least those on Destiny DB, are; Chambered Compensator, which moderately controls Recoil, increases Stability, and slightly decreases Handling Speed. Extended Mag, which greatly increases the weapon’s Magazine Size, but also greatly decreases Reload Speed. Impetus, which increases damage from Merciless temporarily if you reload right after a kill. Finally there’s Fitted Stock, which increases Stability, moderately Controls Recoil, and slightly decreases Handling Speed. Now there’s every chance that you’ll receive Merciless with a different range of perks, with the possible exception of Impetus. This is due to the random rolls that have been introduced by Bungie. When it comes to comparing Merciless to all the other Exotic Fusion Rifles you’ve only got a couple of others; Sleeper Simulant, Telesto, One Thousand Voices, Queenbreaker, and the as of yet unseen Jotunn from Black Armoury. Queenbreaker is a really great mix of Sniper Rifle and Fusion Rifle, but when it comes to only wanting a Fusion Rifle it’s not up there with the best. It’s certainly not going to do the same as Merciless anyway. Sleeper Simulant is pretty great, with a refracting beam that’s going to make pretty short work of anything it touches thanks to overpenetration. Merciless can’t compete with that. Telesto has all of the power of a Needler from Halo, but it’s not as powerful as Merciless. I’d say that in this case Merciless is better, but Telesto is more fun. One Thousand Voices is one of those weapons that’s basically unstoppable. Being killed by this isn’t just an insult, its one you have to take because just having the weapon makes you better than anyone else. Merciless just can’t compete with something like that. Finally there’s Jotunn, the Fusion Rifle added with Black Armoury. I’ve not seen it in action outside of the promotional material for the DLC, but a homing Grenade that sets the ground on fire is pretty incredible. With that said, in PVE I’m definitely going to appreciate having Merciless over this. In summary, Merciless is not the best Exotic Fusion Rifle. However, if you’re looking for a weapon that’s going to help you be a beast in PVE against really tough bosses that you need to deal damage to quickly, this is your Exotic. I’d also say that it’s going to be mental when used in Gambit, because it’s life or death when both teams have their Primeval up. Let us know what you think of Merciless in the comments.